It’s been six years now since we established our official partnership with Atlassian in 2012. Since then our expertise and professionalism in supporting, maintaining and adjusting this Australian company’s tools was recognized by organizations across the nation and worldwide. Our collaboration with one of the biggest direct sales companies is a great example. 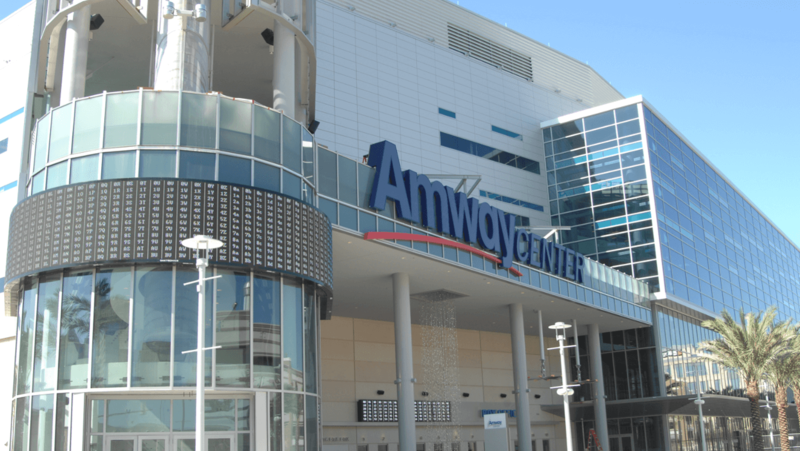 Amway was established in the United States over half a century ago by Rich DeVos and Jay Van Andel. However, the two gentlemen knew each other since school days and engaged together in a number of businesses, including even a hamburger stand. In 1949 they created Ja-Ri Corporation (abbr. from their first names), which imported wooden goods from South American countries. But after being introduced to Nutrilite Products Corporation later that year they decided to completely redirect their business. Rich and Jay walked door to door selling food supplements using what is called now a direct sales system. Their actions resulted in such significant profits, that in just a couple of years their distribution network grew to 5,000. In 1959, as concerns about the stability of Nutrilite grew, they decided to form the American Way Association, or Amway, along with some of their top distributors. They began manufacturing and distributing a concentrated organic cleaner called Frisk. Amway grew rapidly from there and even bought Nutrilite in 19721. Currently the company established by two close friends and business partners operates in over 100 markets worldwide. The organization is currently one of the largest companies in the whole direct sales sector and was ranked no. 29 among the largest privately held companies in the US by Forbes in 2015 based on revenue. Since the very beginning both founders built their company around four fundamental values: freedom, family, hope and reward. These values are still at the center of Amway’s culture after over half a century, empowering thousands of employees and hundreds of brands across the globe to things that are purposeful – to do wonders. Operating in so many markets simultaneously obviously means that Amway and its subsidiary companies have branches all over the world. As a result, employees of one office ended up using completely different systems and tools to perform certain tasks as their counterparts at other locations. Such inconsistency bred countless problems, directly affecting the corporation’s day-to-day operations. In order to tackle this situation Amway decided to standardize its IT systems around a single platform. Europe was chosen as the proving ground for the trials. Among the number of systems that were evaluated one stood out significantly: used across a number of European offices, Atlassian software gained high praises from Amway’s staff even before standardization even begun. It’s no secret that Atlassian’s systems are uniquely positioned to be utilized in practically any company in any sector, as close to being completely generic in application as possible. All Atlassian tools are highly reliable and immensely functional. In addition, they can be almost limitlessly enhanced through thousands of extensions available through Atlassian Marketplace. These products are also very simple to use even by people who had no chance to work with them in the past. It is clear then, why Atlassian quickly became the frontrunner and finally won the competitive race to unify Amway’s numerous IT systems. But why did Amway decide to partner with a relatively little-known Polish company – Transition Technologies PSC – to reshape their IT systems and operations? The secret lies in TT PSC’s flexible approach to their customers’ needs, openness towards innovative and unconventional solutions as well as their team’s extensive experience in implementing and maintaining Atlassian tools. TT PSC is Atlassian’s Gold Solution Partner which certifies all our activities around Atlassian technology stack to be compliant with that vendor’s best practices. Our experts are also Atlassian-certified, which is proof of their extensive knowledge and significant experience in the field. It would be hard to guess which single one of those reasons was decisive, but altogether these feats convinced Amway that TT PSC is the right partner for the job. The biggest challenge which lay ahead of the team was setting up an entirely new Jira instance and interconnecting it with existing instances in order to provide a unified standard for the whole platform – and the whole organization. If you were ever tasked performing such an integration you will know it’s not an easy thing. Luckily, our team had experience derived from previous work for similarly large enterprises, which allowed us to perform the whole process seamlessly. The next step was to unify Amway’s data repositories. We have decided to transfer the entire repository to the Confluence system and store it there. This has allowed us to have created a common and accessible knowledgebase which can be consulted by both Amway’s employees and selected collaborators, whenever they feel the need. Using software such as Bitbucket, Bamboo or Fisheye has streamlined work of programming teams, which were now able to work on source codes of applications they were building in an easier, more efficient way. The entire package of licenses, as well as implementation and maintenance of all the aforementioned tools was smoothly delivered by TT PSC’s experts, not disturbing Amway’s daily operations at any point. We have provided online trainings for employees from all over Europe, ensuring they can get the best out of the tools they are using. Support services from our administrators and programmers in the solution of common issues reported by customers are a standard which we uphold and which Amway appreciated as well. Although Frank Sinatra sang about a romantic feeling rather than the collaboration of two businesses (That would be awkward, wouldn’t it? ), he couldn’t be more accurate as to the overall feeling and direction of where this cooperation was heading all the way from the start. It’s easy to see how solutions we implemented improved everyday work and efficiency levels at Amway. What we have already accomplished will further consolidate our businesses’ relationship, which shall result in measurable benefits for both parties. We look to the future with nothing but optimism. 1 1972 – Amway bought control of Nutrilite. They acquired full ownership of Nutrilite in 1994.